These 35 mm long aluminum adapters convert a 6 mm diameter shaft to a 12 mm hex shaft that compatible with many common hobby RC wheels. 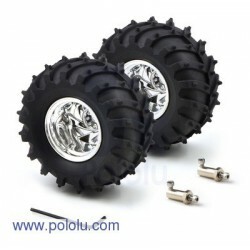 The set includes two adapters, two M4 screws for securing wheels to the adapters, four M3 set screws for securing the adapters to motor shafts, and one 1.5 mm Allen wrench for use with the set screws. 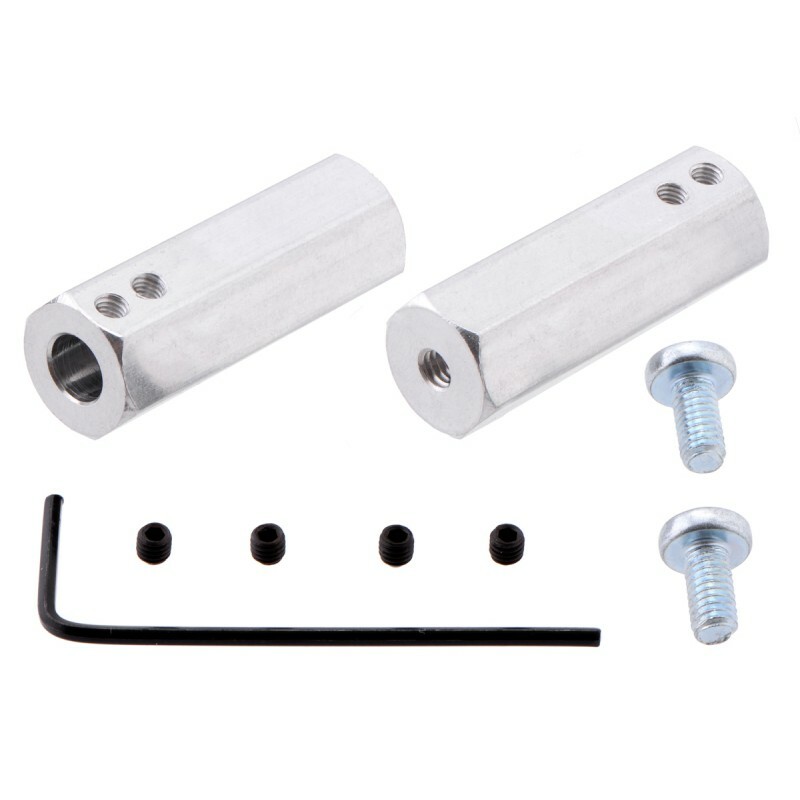 These light-weight aluminum shaft adapters convert a typical motor output shaft into a 12 mm hex shaft that is compatible with many common hobby RC wheels, such as the Dagu Wild Thumper Wheels. The side of each adapter that mounts to the wheel contains a hole tapped for M4 screws, and the other side of the adapter mounts to a motor shaft with two M3 set screws. This set includes a pair of adapters, two 8 mm M4 screws, four M3 set screws, and one 1.5 mm Allen wrench for use with the set screws. This version of the 12 mm hex adapter is 35 mm in length and designed to work with 6 mm diameter output shafts, including round and “D” shafts. It works well with our 37D mm metal gearmotors, as shown in the picture above. 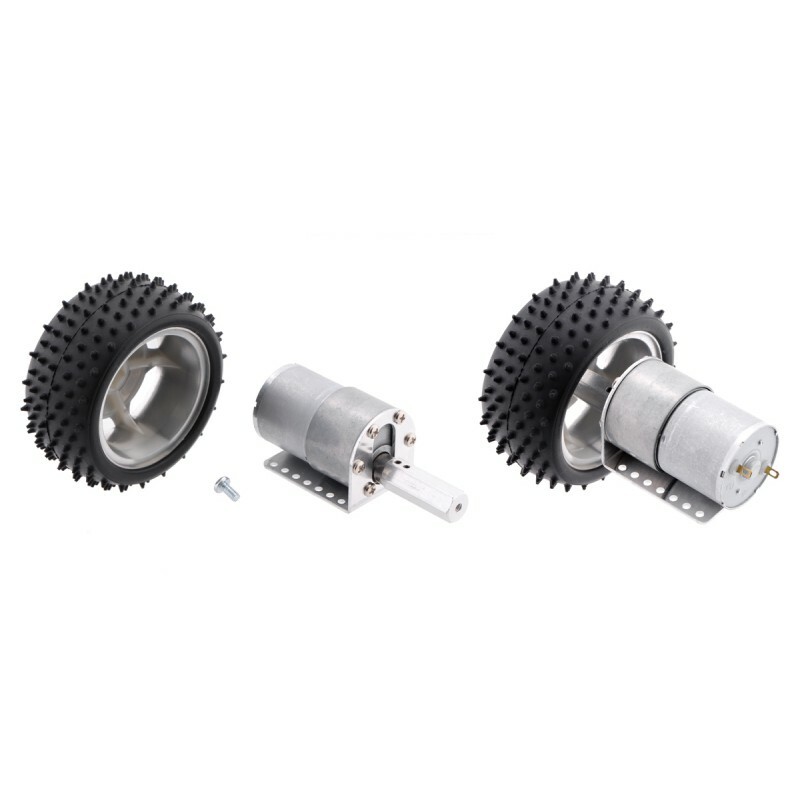 The wheel shown in the above picture is a hobby RC wheel that works with 12mm hex shafts; we do not currently carry this wheel or any other wheels that are compatible with this adapter.